- Chopper finds Big Mom wasted ashore, but she has lost her memory. 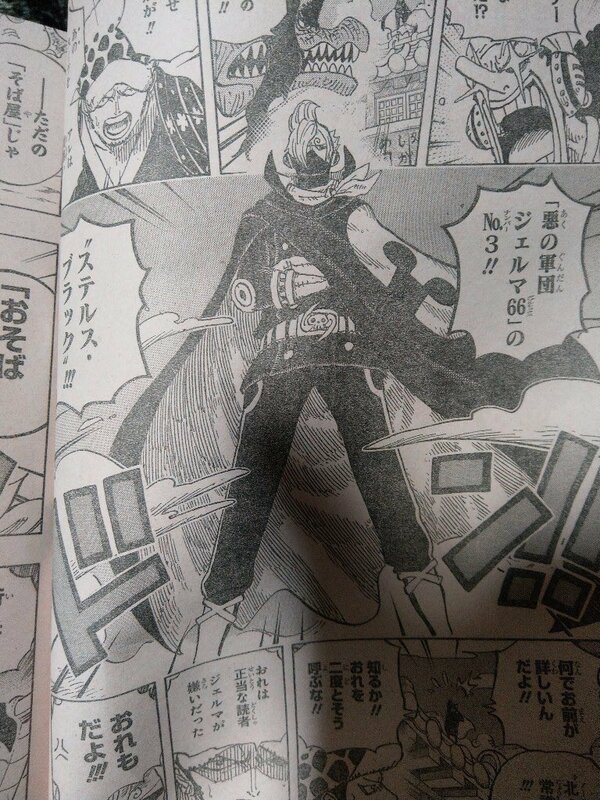 Sanji use the raid suit, it’s a gorgeous transformation. He take off the soba chef kimono and his naked body is surrounded by liquid. 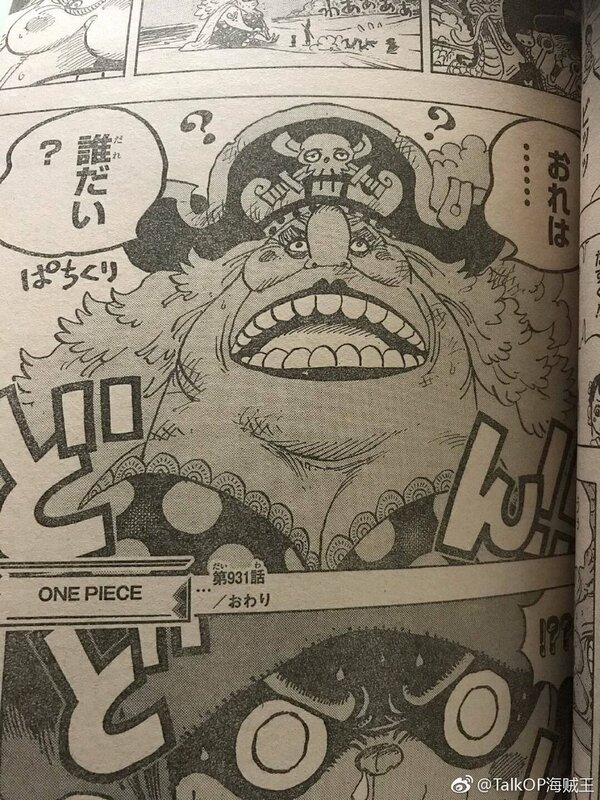 No matter what, Page One is still the user of an ancient zoan, Sanji still could not match him in pure strength and was blown into the ruins. 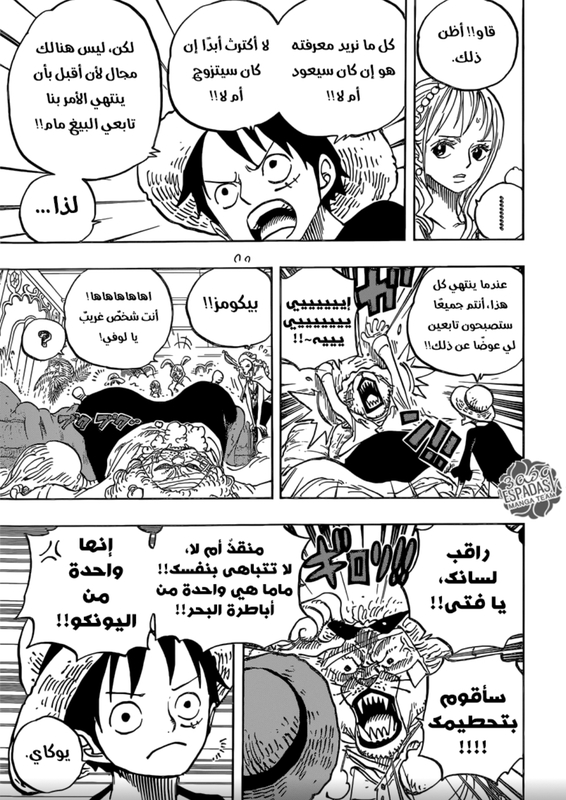 The ninja Chopper and Momonosuke, Otama, and Kiki who had been training with swords discovered a washed up woman who was drowning. 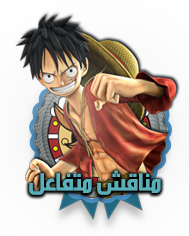 بيج ون يتحول الى انسان دينصور ويقذف بسانجي. سانجي لا يعاني من أي ضرر بفضل بدلة الرايدر. بيج ون يصرخ من الألم.